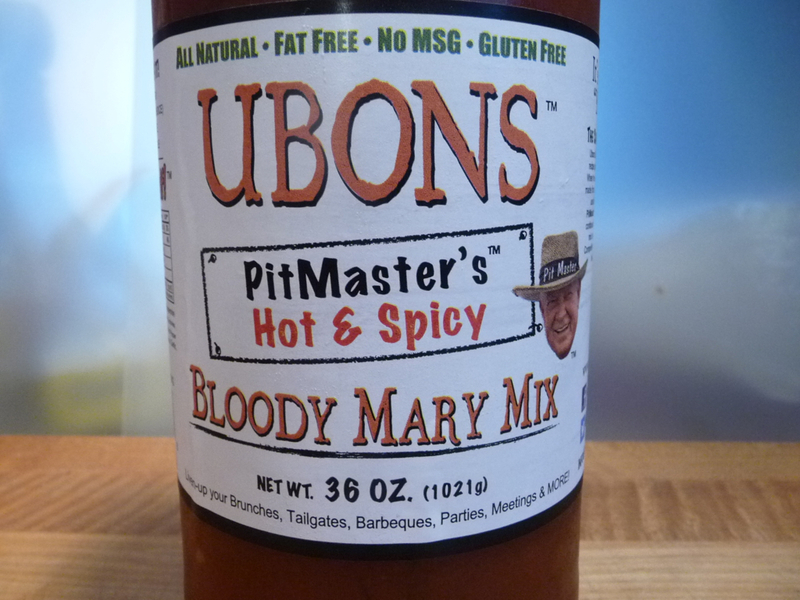 We last looked at Ubons BBQ Bloody Mary Mix back in March of 2013 where it placed 3rd among 5 mixers with ★★★☆☆. This is their latest version called “Hot and Spicy”. 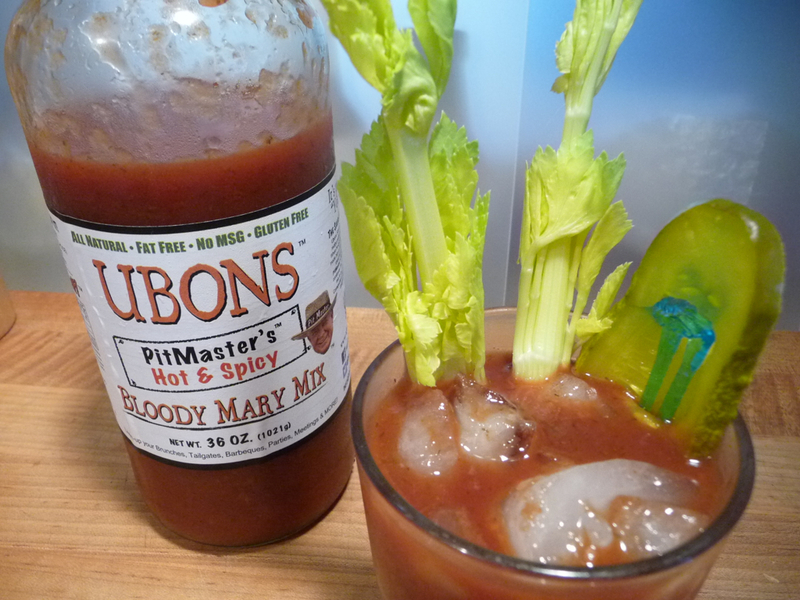 Since this is still the BBQ Month of May, what better bloody mary mix to review than one from Ubons? Ubons having won many championships on the BBQ circuit as Ubons of Yazoo, surely know their way around the bbq pit. And I’m sure many a bloody mary have been concocted at those camps. Ingredients: Tomato puree (water, tomato paste), Worchestershire sauce (distilled white vinegar, molasses, water, sugar, onions, anchovies, salt, garlic, cloves, tamarind extract, natural flavorings, chile pepper extract), vinegar, sugar, molasses, salt, lemon juice, garlic, onion, ascorbic acid, spices. Taste: Thick and full of mouth texture, with bits of garlic and spices. Bright, fresh tomato taste. Savory. Texture and Appearance: Celery, black pepper and a little lemon in the background. The Worcestershire sauce blends in nicely as a supporting player… not so predominant. Fresh vegetable flavor. Heat Level: There’s only just a tingle of heat that stays in my mouth after a good couple of sips. Only mildly spicy. Compared to the Original Ubons, this is just a tad above spicy. Perfect heat. Final thoughts: – Our top rating of 5 stars! 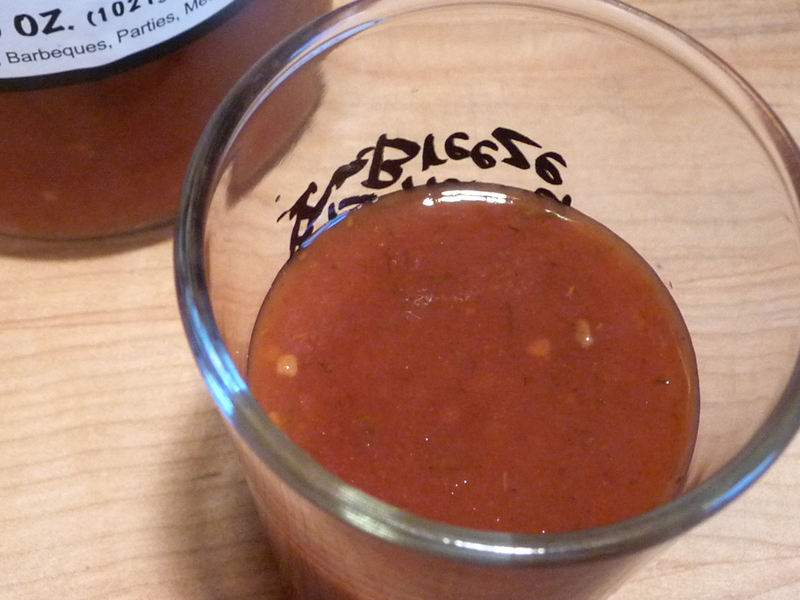 This Bloody Mary Mix is delicious, thick and savory. Can confirm. Just had an official Ubon’s Bloody Mary at Memphis In May last Friday and it is the best I have ever had. Brian knows that I dislike Bloody Mary’s in general, we have discussed that. This is the only one that I enjoy. Wow! That’s quite an endorsement folks! Chris, I know you’re not a fan of Bloody Marys. Thanks for including the website I’m going to need to pick some up. I feel like I’m going to need a few before the USA soccer game on Sunday. Haha. Also, I linked to your page. Hope that’s ok. I just wrote something funny about tapatio vs. chalula in the hot sauce wars.